[Video] Funny Clip Shows Greek Dad Refusing To Eat Souvlaki Made by Chinese | Excuse Me, Are You Greek? 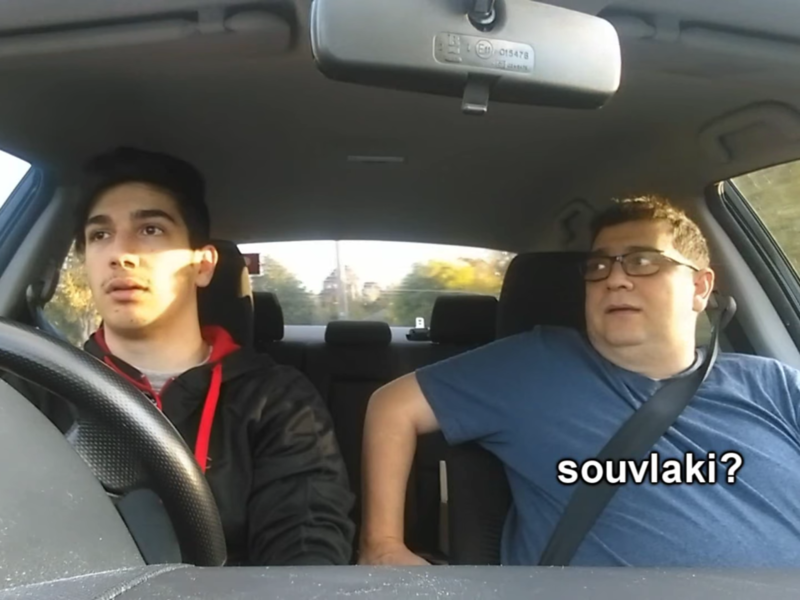 Hilarious video shows Greek dad refusing to eat Souvlaki because the place is owned by Chinese. Does he have a point? The Greek-lish subtitles are beyond hilarious, too! 😂🇬🇷 Check it out below. Video compliments of YouTube user Lispy. Greeks ban flushing toilet paper so they can fertilize diner produce and culture feta yogurt. Both California and Greek forest fires, and many church fires, are caused by their demonic pyromaniac ritual lights. Before candles, Orthodox used to use electricty, but their masochistic statism intervened. Greeks invented fast food reconstitured mystery meats with suchuki, sheftali, cevaps, churlapa and shawarma gyro. They eat and worship Baba Ganesh, the grindu elephant egglant. Don’t forget the Maggia Wretched soup and Coque Wretched they eat at Easter. How dare you impune the glory of American food processing when there can be nothing more filthy and unnatural than Greek sausage? You accused famine aid cheddar of being poison because of its color because your catoche hunger must have been another trojan horse lie. You think anyone criticizing you must not be Greek because you believe your children are too stupid to observe you incapable of comprehending, let alone speaking, the truth. You always find ad hominem excuses to hide the truth.